A one-of-a-kind boutique hotel in the heart of Salem featuring mid-century modern décor with vintage, retail-inspired touches embracing the hotel's stylish past. Surrounded on three sides by windows overlooking Salem Harbor, Finz offers guests lively waterfront scenery in a comfortable open concept interior. 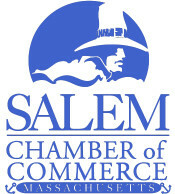 A premier casual restaurant in historic downtown Salem, MA with superior food, drinks, entertainment and service. Live entertainment: rock, salsa, country, jazz, and big band in a comfortable setting.